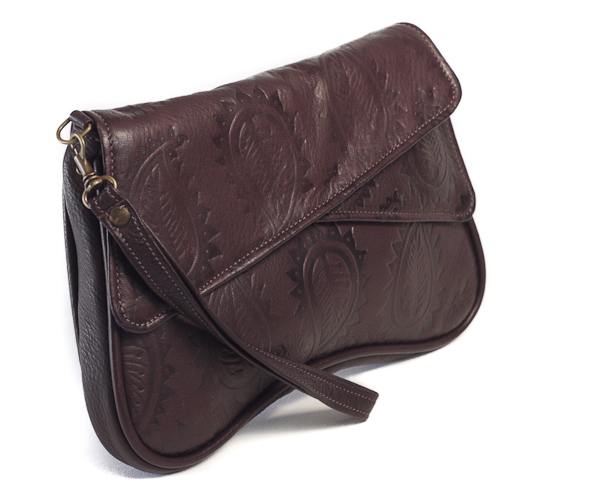 Classic asymmetric style clutch. 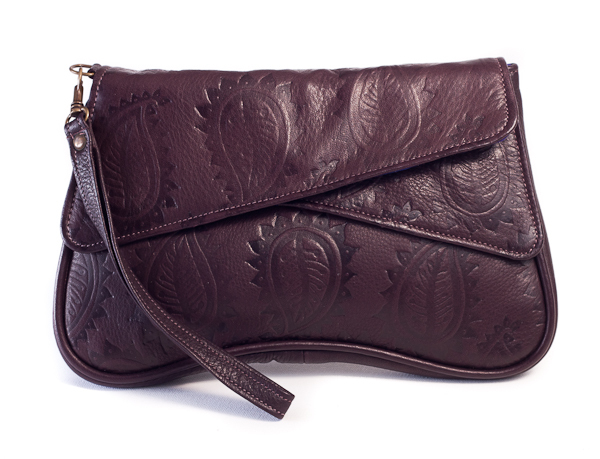 Hand embossed paisley leaf design on chrome free leather. Features zip up pocket and detachable wrist strap.